By Tony A. Gaskins Jr.
Love is the greatest wonder of the world. For thousands of years we have tried to figure it out, but still we struggle to make it work. I became a student of love early in life. I had my first girlfriend in kindergarten, although I’m not sure that counts. As early as tenth grade, I can recall conducting three-way phone calls with two girls who needed advice about their boyfriends. As I grew into young adulthood, I went on to make every mistake a man can make in love. I was the worst boyfriend a girl could find but wrapped in the best package. I was a nightmare disguised as a dream. I said all the right things and had the résumé to match. It didn’t hurt that I wasn’t the ugliest guy on the block, either. I was lost, confused, and trying to figure out love. I broke hearts, and I had my heart broken. By the age of twenty-two, I’d already dated over a hundred ladies, and I’d kept very good notes. I turned all my mistakes into lessons. I allowed my pain to birth my purpose. My mess became my message. I decided to use my story for God’s glory. At twenty-three years old, I married the love of my life. A month later, our first son was born. Two months after that, I was robbed of my car, which was my most prized possession. That sent me to my knees, and I questioned the decisions I’d made up until that point. It’s crazy how the loss of a material possession can shake a man to his core. I decided to rededicate my life to Christ, and began living with my Christian values again. The first two years of marriage were the most challenging, and I admit I made some mistakes. By the end of the first two years of marriage, I got my act together. I began sharing my lessons online, and the tweets started going viral. Then I went to Facebook. Then I expanded to Instagram. Millions of people hit the “follow” or “like” buttons on my posts. I realized then that my mistakes weren’t in vain. Christ is a redeemer. My story is proof of that. They say certain types of people can’t change; well, I’m one of those people who truly changed. I’ll never refer to myself as a guru or an expert. Although many have labeled me as such, I choose to call myself a servant. There are people who once knew me and women I once dated who can’t believe the man I am today. They cannot believe my transformation is real, but it is. Had I not changed, I wouldn’t be writing this book today. I began writing books at the age of twenty-two. I prayed and asked God to double my wisdom every day. I prayed for strength, grace, mercy, and favor. I knew He gave me a simple message about love that human nature tends to complicate. Sharing my message online began to open up to a new world full of opportunities. People began to ask me to speak at their events. They had never heard me speak and didn’t know if I had the ability or charisma to carry a stage, but they invited me anyway. I was invited to speak at various events ranging from church retreats and high schools to seminars for professional athletes. The NBA called me in to speak to the rookie classes, and an NFL team called me to speak to their athletes. I spoke on toxic relationships and the concept of becoming a man. Women’s groups began inviting me to their events to serve as the male voice. Based on my online work, they could tell I didn’t pull any punches but that my aim was to help and serve. You see, I played the game at a high level and I did a lot of dirt. You can’t truly have a life-changing message unless you’ve had life-changing circumstances. Then I received requests from around the world. It started with Johannesburg, South Africa. I spoke to one crowd of 2,000 and another crowd of more than 5,000. Johannesburg featured me on every media outlet, and millions of people saw my face or heard my voice. More than 100,000 people in Africa joined my social media following. I was called to speak on two other continents and in more than ten countries. I was only thirty years old. Top celebrities, entertainers, and professional athletes began to reach out to me. High-profile figures flew me in to their homes to ask for my insight into personal relationship issues. Before long, television networks began calling me to appear on program episodes as a life coach. Many production companies have been trying to find the right show for me, but I’m patient because the message has to be packaged just right. In our world, the truth as I tell it isn’t always popular. I’m compelled to share it because it changed my life and the lives of thousands of others. At the age of thirty-one, I was called to be the life coach for an NBA team. This was after occupying that role for several Division I college teams. I didn’t ask for the opportunities; they found me while I was in the “fields” working. I can’t say I was always ready; the organizations had never utilized life coaches prior to my involvement, so they were unsure of my role. Truthfully, I wasn’t completely sure myself. God and I created a blueprint for the space. I made mistakes, and I learned from them. I’ve dedicated my life to teaching as I learn. Tomorrow is not promised to any of us, so I teach daily. If it has helped me, I know it can help someone else. It’s my work to share what I’ve learned. My life experience is the tool I am using to write this book. I’m not a counselor or a therapist. The books they study to become certified are based on lives like the one I lived firsthand. I was never the top of my class in school, so I earned my PhD from Mistakes University. I began to notice how many people preferred a truth from life experience rather than hearing the lessons learned from a textbook. So in addition to the counselors and therapists, people came to me for insight. It wasn’t long before I was overwhelmed. Even today, I have more than 10,000 unread messages asking for advice sitting in my inbox. I learned very quickly that I had to share the lessons I learned in ways that could reach great masses of people at once. I coached thousands of people one-on-one. At the age of twenty-seven, I had to resign from my job as a group home counselor to become a full-time author, coach, and motivational speaker. I read as many messages as I can. I speak to as many people as I can. I put my finger on the pulse of the people, and I learn lessons from thousands of stories each year. The average therapist speaks with around ten to twenty clients per week. I was interacting with one hundred to four hundred through social media and email. For an eight- to twelve-hour workday, I read emails. The emails were stories from people ages sixteen to sixty-eight from more than eighty countries. I was thrust into the belly of the beast. I’d be willing to bet that I have one of the top ten relationship data mines in the world. At the peak of my Facebook popularity, my page reached between 20 million and 40 million people per week without my paying to boost a single post. That reach allowed me to gather more data and insight than any scientist in a lab. These were real lives, real stories, real pain, and real experiences. I have read things that would make you faint and not wake up for a week. I have read relationship stories that would make a rock cry. Yes, it gets that real. If life allows me, I’ll write seventy more books tackling different aspects of love and relationships, because it gets that real. Please understand that the words on these pages are not just my opinion snatched out of thin air. This all stems from findings, insight, and the wisdom I’ve gained over more than twelve years of intensely studying relationships and the dynamics of love, not just in America but also all around the world. I’ve heard more stories and coached more relationships than I can count. 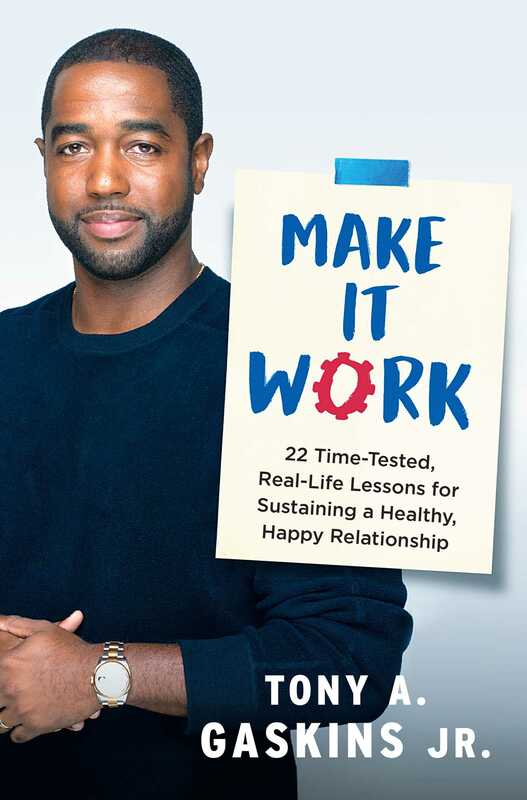 This book will scratch the surface of the knowledge I’ve acquired, but I believe it will confirm or reveal to you some key lessons for making a relationship work. When I write and when I speak, I am not alone. I’m just a vessel. I’m just sharing the message that has been given to me to share. Take it for what it’s worth, and in due season it will bless you where you need it to. Enter for a Chance to Win a Romantic Date Night!